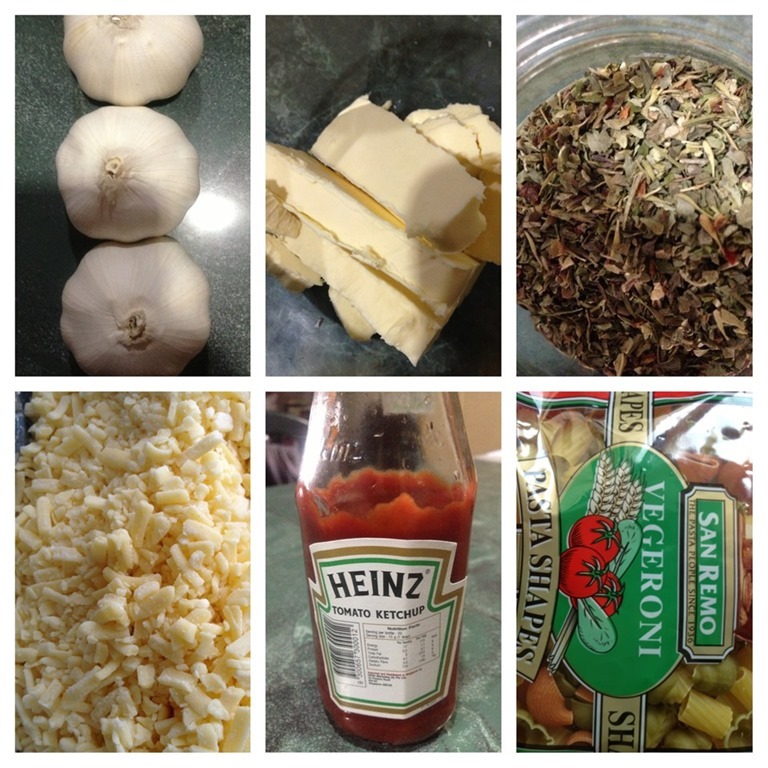 Let’s See How An Asian Make The Tomato Pasta Sauce From Scratch …. This is the homemade pasta sauce from scratch. I learned this many years ago from one of my French friends staying in Paris, France. 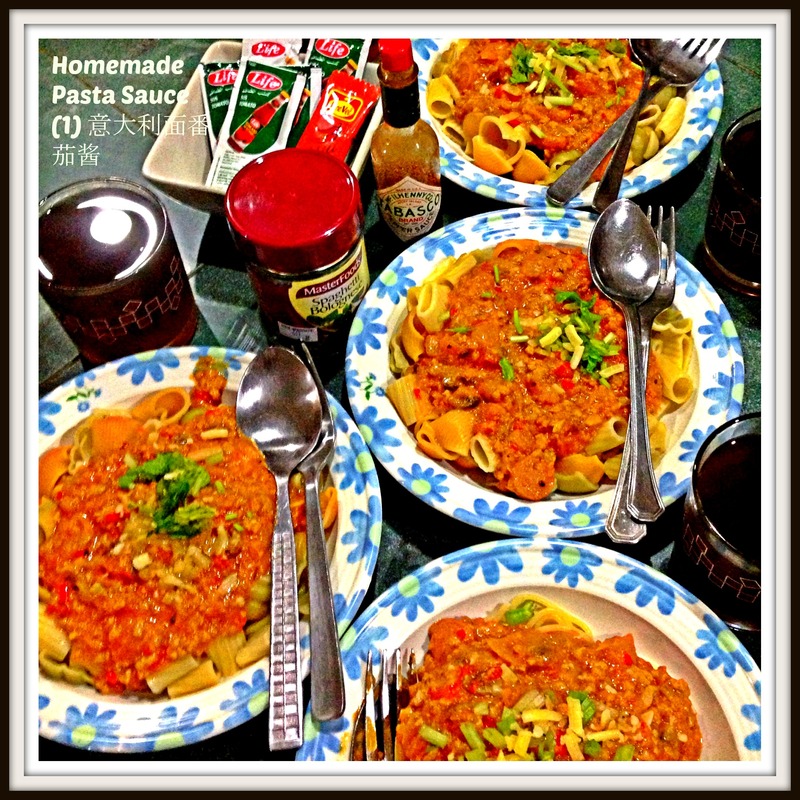 When I visited her, she is preparing the pasta sauce and I can vividly remember certain steps in the preparation but sad to say, I can’t really recall the happy time we had during the dinner. 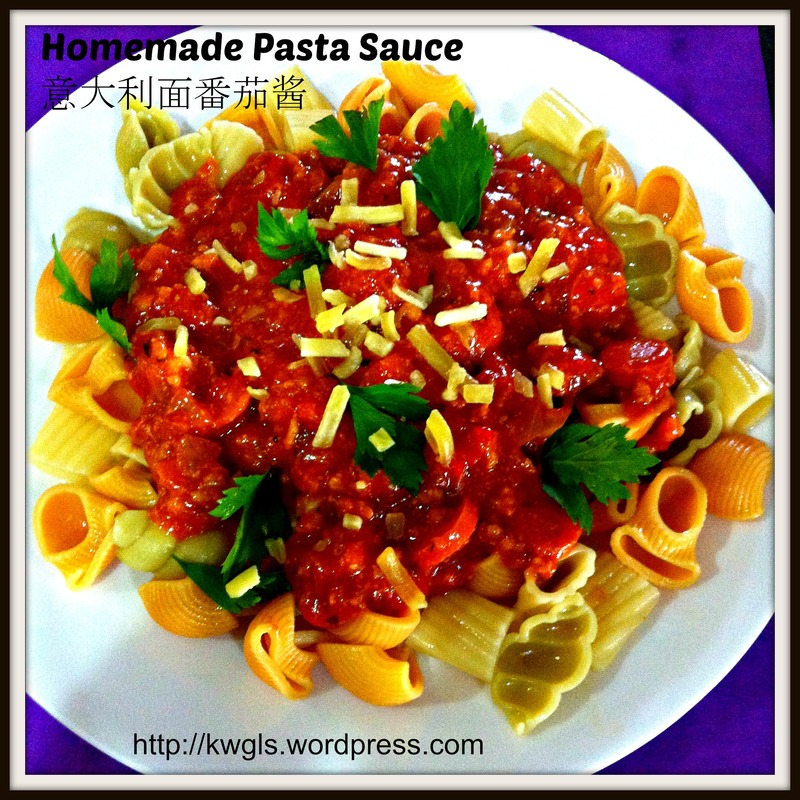 This recipe is adequate to make tomato pasta sauce for at least 6 persons and have about 600 grams left for baked pasta. 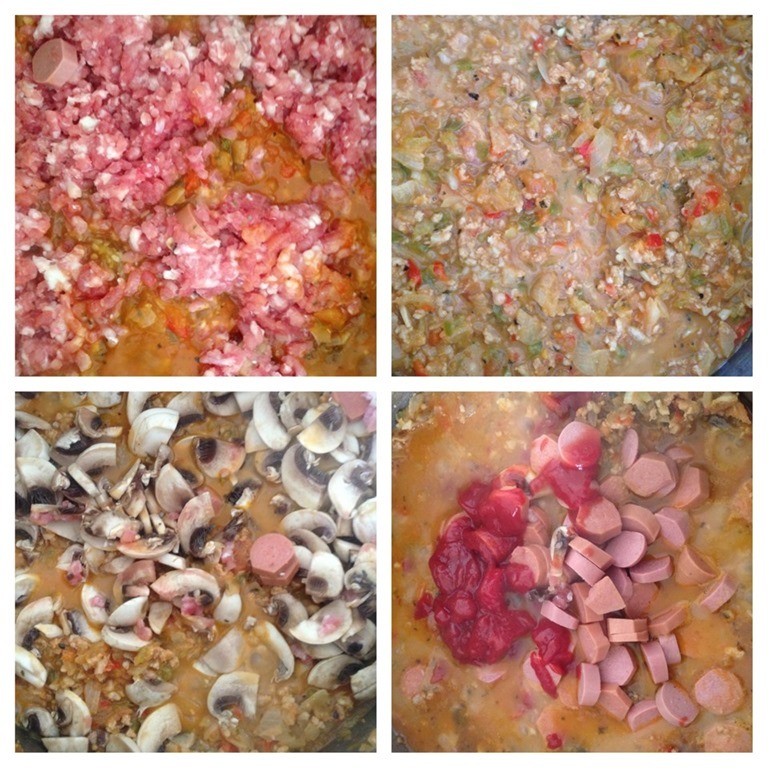 500 g of minced meat (beef or chicken or pork). In this illustration, pork was used. 1 pack (about 300g) of pasta of your choice. Clean the tomato and all other raw ingredients. In a big pot, bring some water to boil. 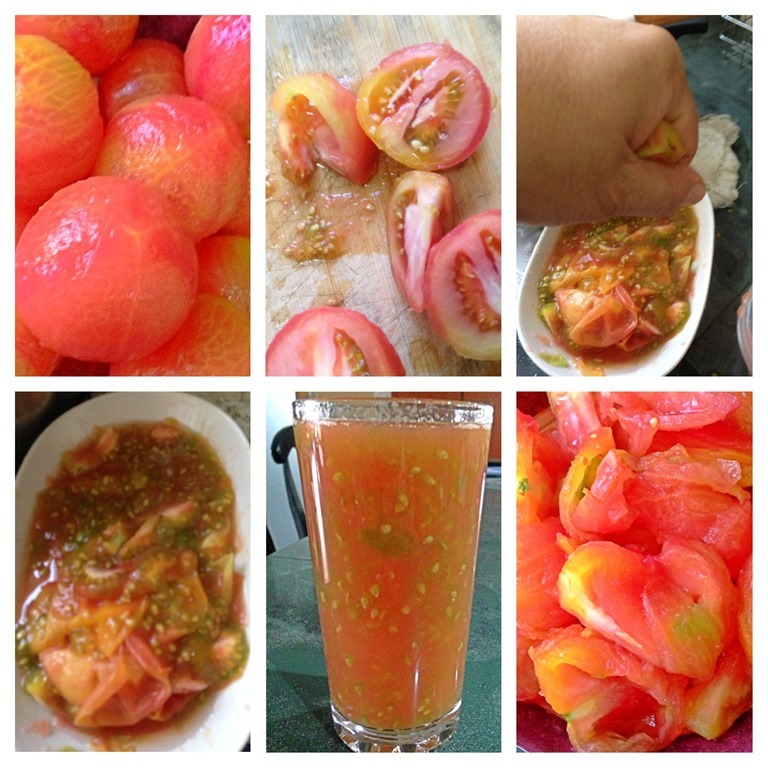 Place the tomato into the hot water and let it boil for a few minutes or until the skin slightly peeled it off. Note that as long as the skin start to break, you can transfer to the cold water as mentioned below. Get ready a pot of icy cold water. 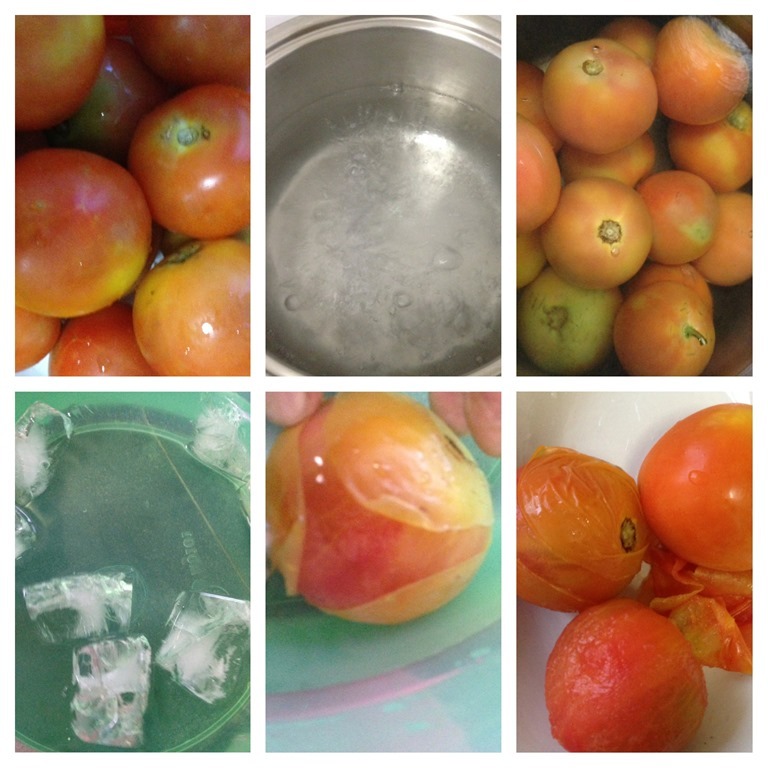 Place the tomato in the icy cold water. Peel off the skin by hand which is rather easy. Cut opened the de-skinned tomato. Use a spoon to scoop out the seeds. Use your hand to squeeze off the seeds and/or juices into a clean container. You can either throw away these juices or keep it as tomato juices. It is okay to drink the seeds as it is very fine and slippery. Set aside the tomato flesh for future uses. 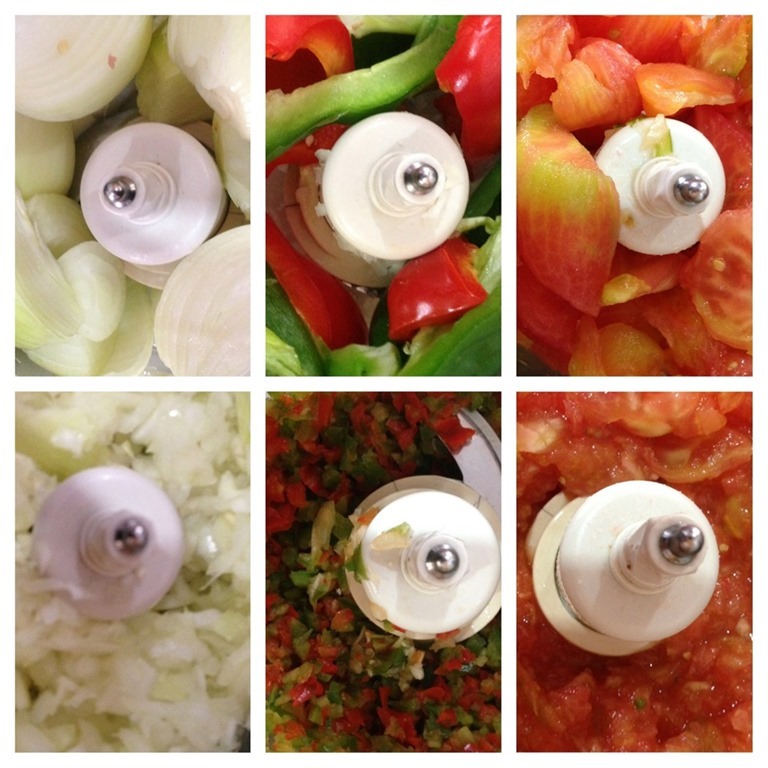 Traditional way of making pasta sauces do not really utilize food processors. However, I have opted to use food processors to cut short the braising time.Traditionally, all items were julienned or cut into small chunks for the cooking. Use the food processors to cut the garlic and onion in small chunks (need not to be overly fine since you are going to braise them), set aside. Use the same blender to blend the red and green capsicum or celery (if any). For celery, you will need to de-skin the celery first before you put into the blender. 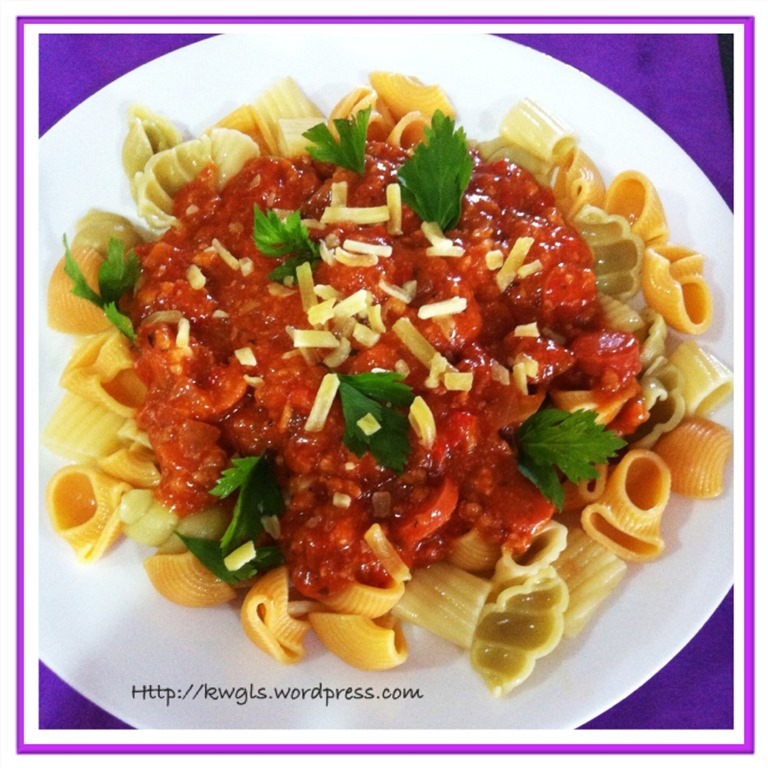 The red and green capsicum and celery will help to add volumes and flavour to your pasta sauce. If only tomato is used, it may be too sour. Cut the chicken franks into small chunks. This is optional and rather “Asian” taste. I have put this because my kids love to eat chicken franks. 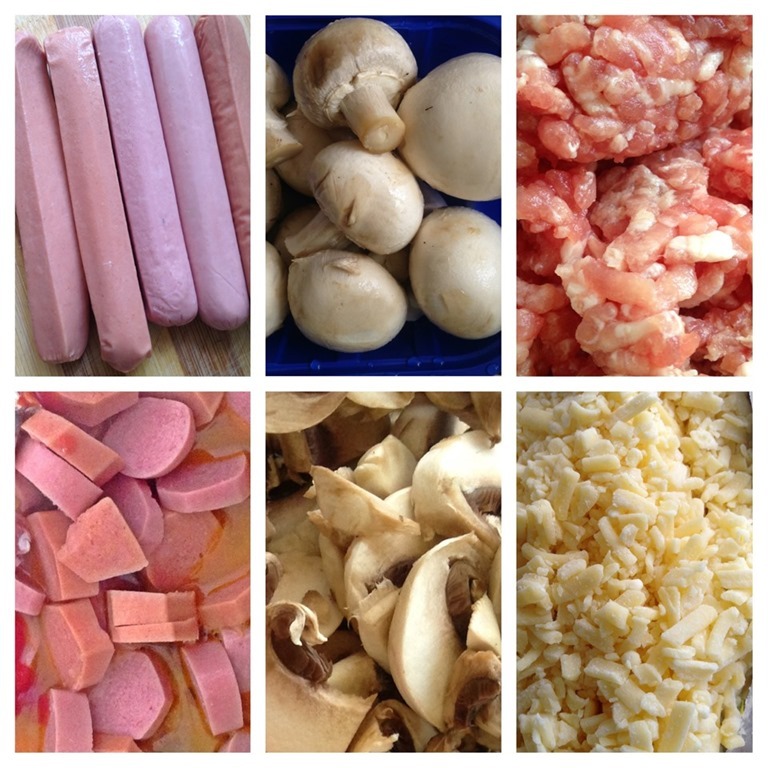 Cut your button mushrooms into thin slices. Canned mushrooms works equally well. Minced meat of your choice. Traditionally, beefs were used. As I do not eat beef, I have substituted with minced pork or at times minced chicken. I have bought the ready made minced meat from the supermarket. Grated mozzarella cheese. I have opted to buy the grated mozzarella cheese but it is not necessary at all. If you have un-grated cheese, you can just cut a slice (without grating) and put it in the sauce later. It will melt subsequently. In a big pot, put the butter and let it melt. 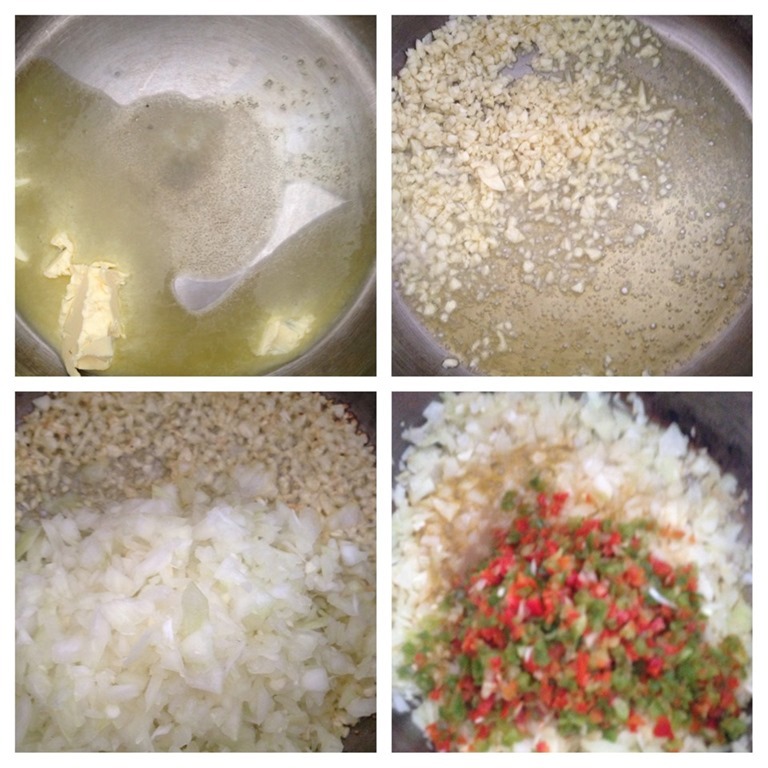 Add in the chopped garlics, stir fried until it turns slightly brown or the aroma start to emit. Add in the chopped onion and stir fry for 2 minutes. Add in the chopped green and red capsicums and stir fry for another 2 minutes. Add in the chopped tomato and bring them to boil under high heat. Once boiled, turn to medium heat and let the mixture simmer for at least half an hour. Add in seasoning and herbs and let them boil for another 5 minutes. Seasonings can include pinches of sugar, black pepper and salt. As for the Italian herbs, I have bought the over-the-counter dried herbs which consist of basil, oregano, garlic, thyme, red bell peppers and parsley. 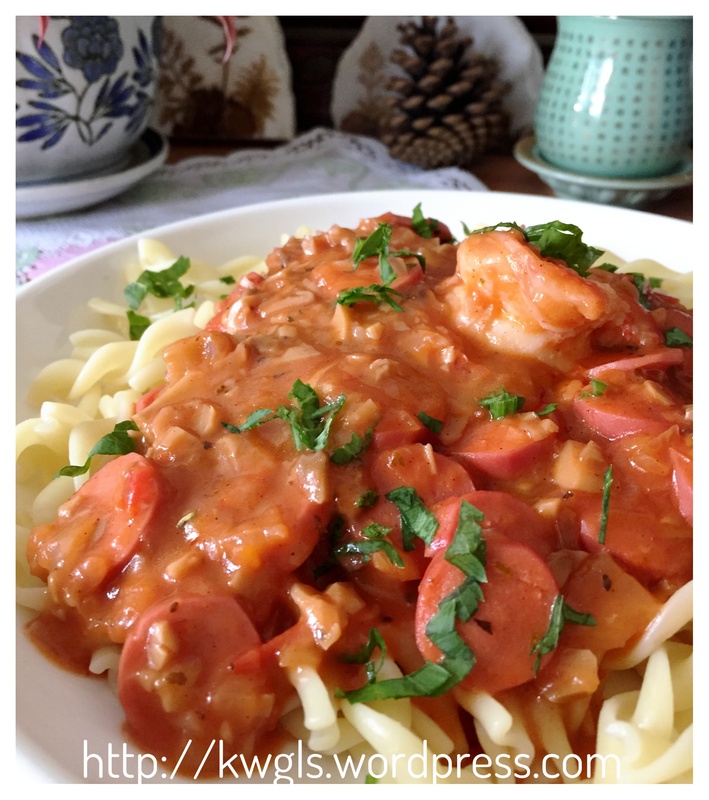 If you just want pure pasta sauce without any meat. You can stop here and you can keep it in sterilized containers and keep for at least a month in the fridge. The steps that follows are meat sauces for the spaghettis or other pastas. Add in your minced meat and cooked for another 2-3 minutes. Add sliced mushrooms and chicken franks. 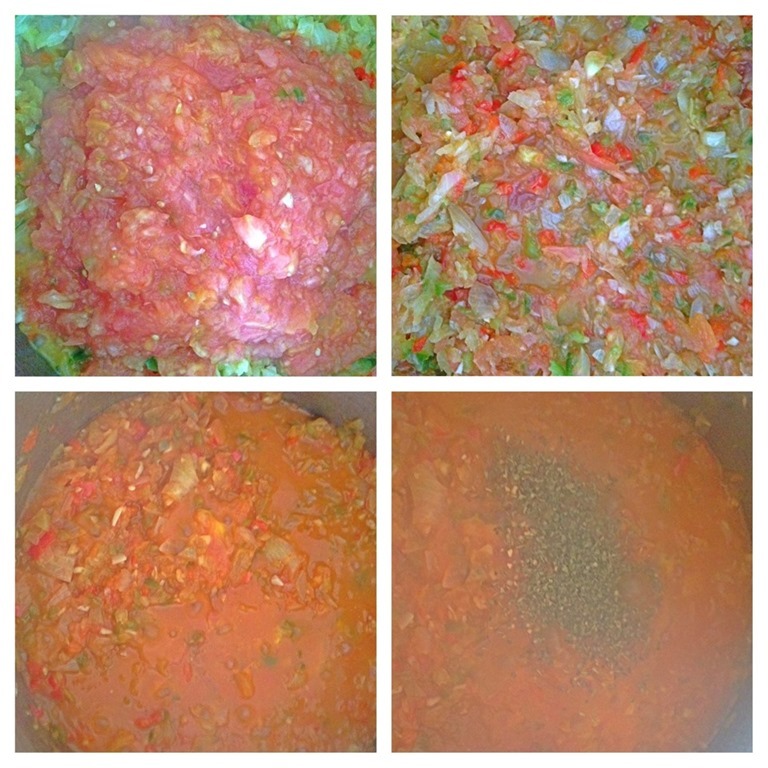 As this is home made pasta sauce, the colour will very much depends on the types of tomato that you bought. In Singapore and Malaysia, it is rather hard for you to find Roman tomato, we can just use whatever tomatoes we have. 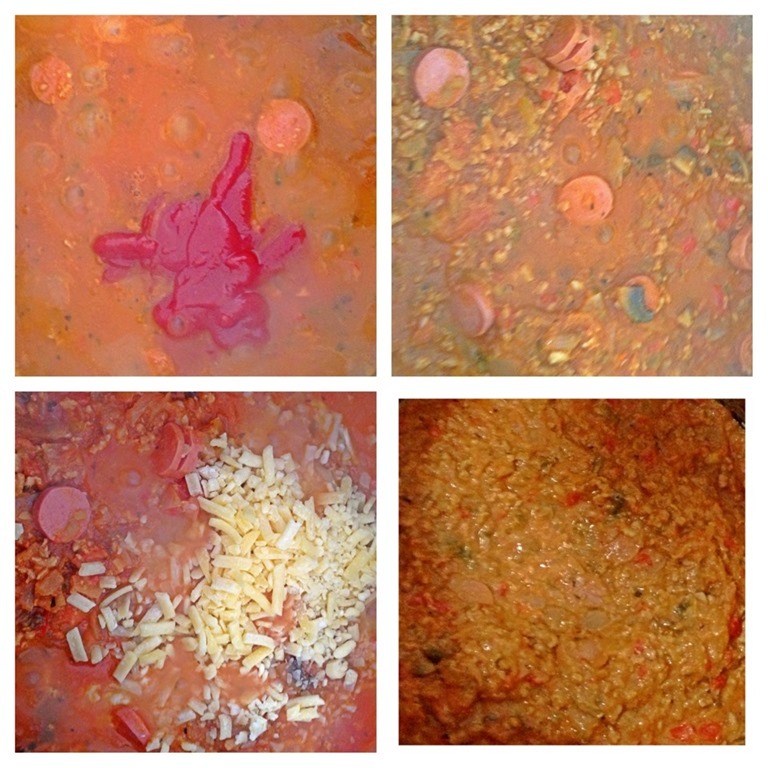 However, the colour may not be that appealing, you can add in bottled tomato sauce to make the colour darker. 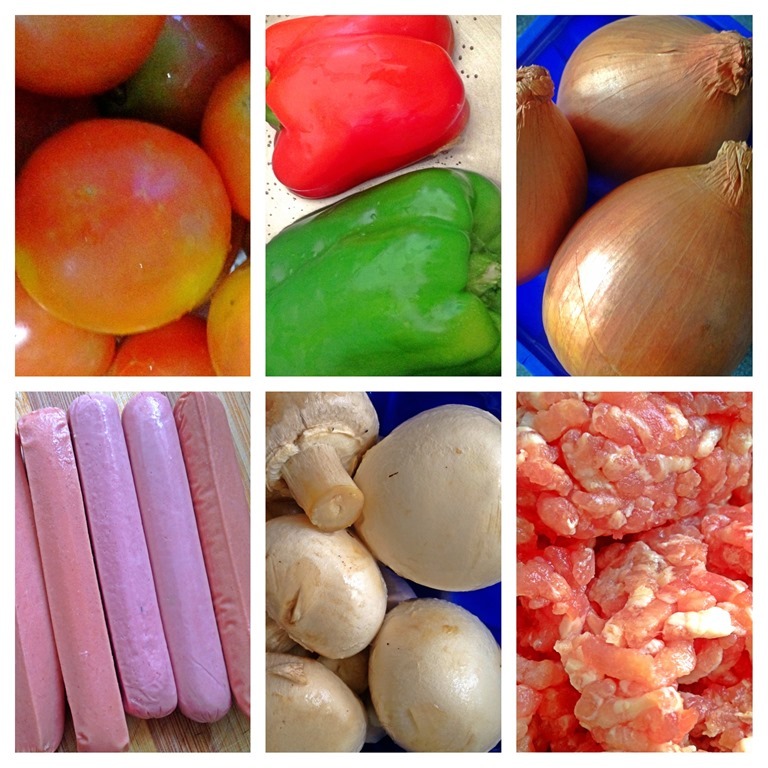 In addition, it will help to enhance the flavour of the pasta sauce. Continue to boil for at least 10 minutes, add mozzarella cheese and once boiled, off the heat and your home made pasta sauce is ready. This is rather standard and you should read the instructions of the packaging for the pasta that comes with it. In a pot with about 2 litres of water, add 2 tablespoons of cooking oil (olive oil) and pinches of salt. Bring to boil under high heat. 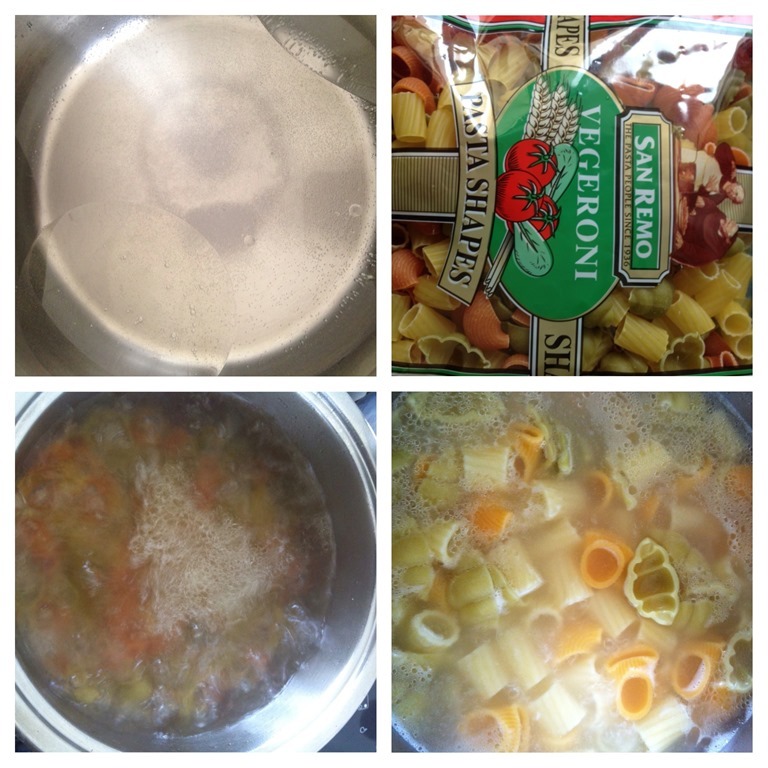 Add the pasta and continue to boil for 8-10 minutes or till desired texture. Drain away hot water and pour some cold water on top of the pasta for one minute. Drain, add in pasta sauce and garnished with parsley or any other desired herbs and it is ready to serve. Home made pasta give you the a full flexibility of adapting the ingredients and herbs to your family taste buds and health objectives. 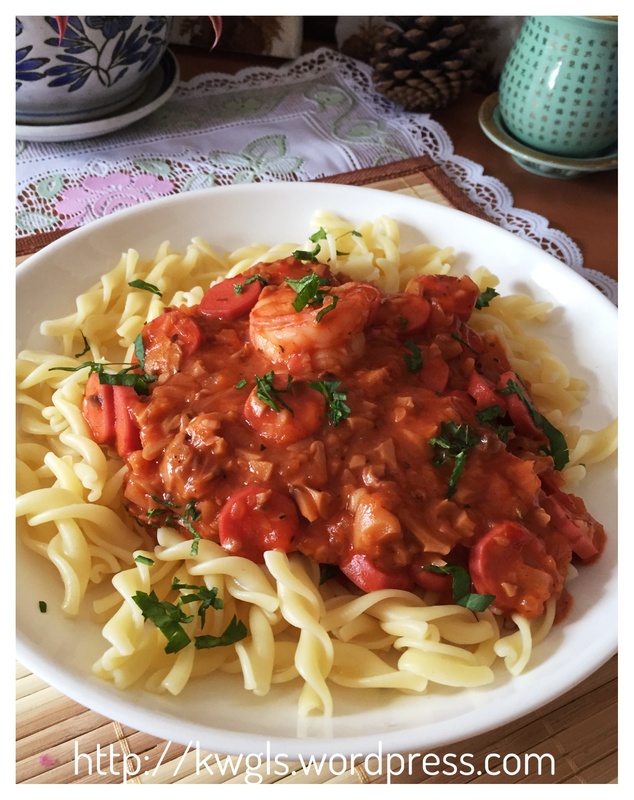 Most ingredients are substitutable and trial and error or mix and match appeared to be the best approach to design your own favourite pasta sauce. I have also opted to use food processor in the preparation process and that have cut short the preparation tremendously. For my readers from Western countries, since baked pasta and pasta sauce are more popular in your countries, tell me if you think the pasta is yummy and if the baked pasta will suit your taste buds. This entry was posted in Dish, Food Preparation Series and tagged 8, addition, adults, aroma, Asian, basil, BEGINS, Bell, blender, breakfast, butter, butters, Capsicum, capsicums, celery, Celsius, cereals, Cheers, Cheese, CHINESE, Clean, CONCLUSION, Continue, cuisines, degree, development, dinner, dish, Drain, error, food, fragrance, France, French, fridge, From, garlic, girl, grams, GUAI SHU SHU, Guaishushu, Haha, health, Heat, HERBS, Home, HOMEMADE, homemade pasta sauce, Hope, hour, ignorance, illustration, ingredients, instructions, INTRODUCTION, Italian, items, juices, kenneth goh, Make, malaysia, Meat, mixture, Most, mozzarella, Note, nutrition, Once, Onion, oven, Paris, parsley, Part, Pasta, Peel, PINEAPPLE, Place, pork, postaday, preparation, processor, processors, purposes, readers, recipe, Roman, Salt, Sauce, sauces, Scratch, Seasonings, size, SLICES, snack, supermarket, tablespoons, temperature, texture, thyme, Tomato, tomatoes, Traditional, Western, yoghurt. Bookmark the permalink.